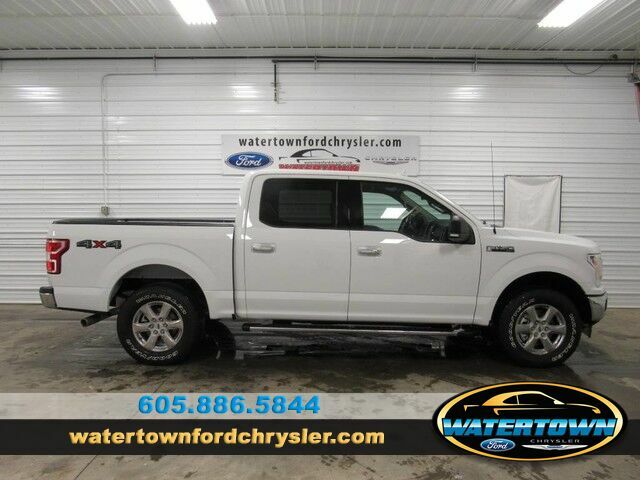 Contact Watertown Ford Chrysler today for information on dozens of vehicles like this 2018 Ford F-150 XL. Want to brave the road less traveled? You'll have the 4WD capabilities to do it with this vehicle. The look is unmistakably Ford, the smooth contours and cutting-edge technology of this Ford F-150 XL will definitely turn heads. You can finally stop searching... You've found the one you've been looking for. The Ford F-150 XL will provide you with everything you have always wanted in a car -- Quality, Reliability, and Character.